When you originally auditioned for 24 weren’t you up for the role of Nina? I did. Sarah Clarke’s just perfect for that role. 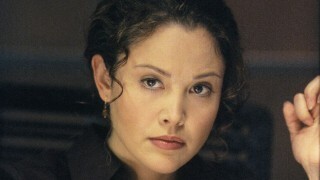 She and Xander [Berkeley] are friends of mine and I can’t imagine anyone else in that role. And then for them to come and offer me the role of Michelle was great – I thought she’d only be around for a few episodes and then get killed off. Do you ever worry that the role of Michelle will be the character that you get typecast as for the rest of your life? That you’ll spend the next 60 years doing 24 conventions? [Laughs] I don’t see that. I suppose it’s not quite Star Trek. What’s great about the fanbase is that it’s such an engaging show and it attracts people that want to be stimulated and not just veg out. The show really attracts an intelligent audience. I don’t really get people coming up to me thinking that I am actually the character, but it does have a cult following, which is similar to the Trekkie thing. I love playing this character. She has a lot of dimensions to her – I hope. And it’s always best, I think, to play a strong character and incredibly confident character and then follow that up with a role that is totally different. I would love to play a dizzy character [laughs] like a dumb dope addict or something [laughs]. 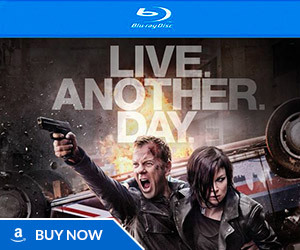 Because of the real-time element, how different has working on 24 been for you in comparison to other shows you’ve worked on like One Life to Live? Oh God! One Life to Live? 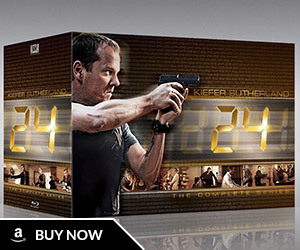 That was forever ago… 24 is a concept driven show, The 24 hour element is something that is really unique to that show and the continuity aspect is interesting. To shoot something a month later, or longer, that is taking place seconds after the last scene you shot… Being aware of all those things, emotionally and not knowing where you are going to go. If it’s a self contained episode you know where you are with your continuity, but you can’t do that with 24. You also managed to get out of CTU in season three. Was that a relief being able to have a change of scenery, not to mention a change of clothes? [Laughs] Yeah, that was great. “Wow! Look a change of clothes!” [Laughs] I love staying in the same outfit, it’s like Catholic school. You don’t have to worry about it and the amount of time you save is worth it. But it was great to get out in the field and I loved the storyline they gave me. I loved playing such an interesting role. Women, especially, don’t really get these kind of roles – where you get to be incredibly in control and confident, yet still feminine and human. A lot of time when you get these strong characters they loose their humanity, or they become really cynical. With the Tony/Michelle storyline, the writers really kept the humanity of my character – and the stakes were a lot higher. At the beginning of the show when we had all these relationships, everyone’s related be it brother or lover, and then I realised as the show went on was raising the stakes for all of us. You spend a great deal of season three waiting to discover whether you have contracted a terminal virus. When you started shooting these scenes were you aware of whether your character would survive or not, or did you spend the whole time wondering whether this was how you would be written out of the show? They didn’t know. They said: “Look you’re going to be exposed to the virus and we don’t know whether we are going to kill you off or not.” [Laughs] So I was like: Wow! Thank you. I went in in the second year, so I already knew that major characters get killed off. I was, and am fine with that, I just want to make sure that I go out with a good storyline – give me a good death [laughs]. I was just surprised that they keep bringing me back. I was definitely surprised that I’ve got the run that I’ve had so far. Does this anyone is expendable policy make negotiating your contract difficult – you don’t want to be too pushy on money because you know they can write you out? No. I never got into this as a job to settle down with. Financially it would be great to have some security for a couple of years. Like a lot of actors, I’ve done theatre and got into this work thinking: “I’ll work on this project and completely commit my life to this for a few months or a year or so and then move on.” I love that aspect of this profession. I love moving on to different types of characters and work. I love 24 – the set, the people and the material I’ve been able to play with, but I love to move on and have different adventures. Is there any role in a novel or a play that you’ve read and though you’d love to have a go at? If, like Michelle, you were told that in 24 hours time there was a greater than 90% chance that you wouldn’t still be alive, how would you spend your last day on earth? I really don’t know. I think that’s one of those things that would just come to you if you were really faced with that situation. It’s like with the Tony and Michelle storyline, if you were in this heightened situation, would you care, or die, for this person? Would you sacrifice millions of lives. Tony did do that. He was willing to sacrifice millions of lives for his love and I don’t think Michelle would have done that. If you’d have asked them what they would have done they would have said one thing, but but them in that situation and they’d probably do something completely different. I’m not one who really plans on how I’d feel or what I’d do. I like leaving that open. Is there something that you haven’t done yet that you feel you have to do before you die? It would have to be something personal. I’ve travelled a lot and the best things I’ve done were things I never expected. You end up in a wedding in the middle of the Sahara and I didn’t think that was going to happen [laughs]. The best things that’s have ever happened to me… I ended up, on the fly, going to Cuba and meeting some amazing people – it’s things like that. The best things that have happened to me have been unplanned and unexpected. What about future projects you’re working on at the moment. Can you talk about your involvement in Committed? Oh yeah! I had a great time working on that film. I’ve just seen a rough cut of it and I’m pretty pleased with it. It’s about a woman who has a nervous breakdown and ends up in an institution and falls in love with a schizophrenic [laughs]. That was a great challenge and hopefully that will be coming out next year. I’ve also just finished a short film that went to Cannes and I worked with Xander [Berkeley] too, who played George Mason on 24. 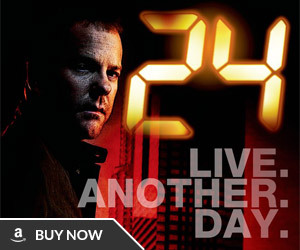 I’m working on CSI right now and it’s great to get right into other work right now, straight after 24. Working on 24 was such an intense involving experience – a great experience – but it’s great to move onto different adventures.